Home / News / Congratulations Kamryn Leinheiser! 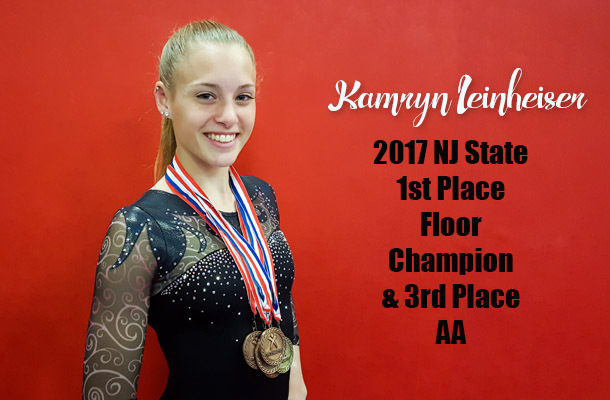 Kamryn Leinheiser won the 1st Place floor exercise title at Level 9 NJ State Championships held March 25-26, 2017. Kamryn also placed on all events and placed 3rd in the All Around. She is looking forward to adding more medals to her collection at this weekend’s Regional Meet in Maryland.